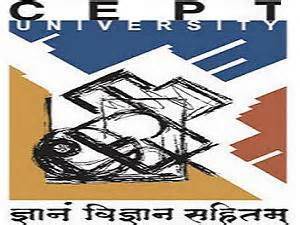 Centre for Environmental Planning and Technology CEPT University has been Published Recruitment Notification for below Mentioned Post 2017. Other Details Like Age Limit, Educational Qualification, Selection Process and how to Apply are given below. Candidate must have a graduate or PhD degree in any discipline from an accredited university outside India. Candidate must not be currently resident in India and preferably have graduated less than five years before the last date of application. Fellowship: Monthly stipend: INR 45, 000; Yearly Stipend: INR 540, 000 (For 12 months) Reimbursement of Travel Expenses up to INR 150, 000 Fellows shall not be eligible for tickets or allowance for dependents. Fellows shall be liable to pay local/state taxes as applicable. Term of Fellowship will be for one year starting tentatively from mid-July/January as per the academic calendar of CEPT University. Interested and eligible candidates can apply before 15/09/2017. Selection Will be Based either Written Exam/Interview by the Centre for Environmental Planning and Technology CEPT University norms or decision. ◾Applicants should send the following information before 15th September, 2017. Online applications must be submitted latest by 15/09/2017.